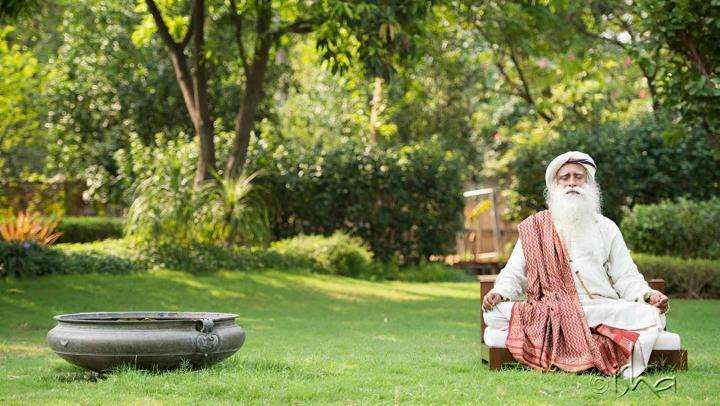 In this week's Spot Sadhguru speaks about the benefits of doing Surya Kriya, not only for physical and mental well-being, but also for a very powerful spiritual possibility. Today human intelligence is used in a very crippled way, constantly dipping into one’s memory bank. If your intelligence functions only from the memory that you have accumulated then you are just a recycling bin. The same thing keeps happening in many permutations and combinations. One major aspect of spiritual process is to keep your hand out of the memory bank. Why we speak so much about karma – karma is memory – to be out of it, is because the moment you dip your hand into it, your life will become cyclical. Once your life becomes cyclical, you are just going in circles which mean that you are going nowhere. The idea is to break the cycle. If the cycle has to break, your intelligence has to become free from the accumulated memory, otherwise cycles will not be broken; cycles will be created. The more deeply you dip into this memory the cycles will become shorter and shorter and slowly lead you towards insanity. Surya Kriya enables you to move towards a space within yourself and around yourself where circumstances are not in any way intrusive or obstructing the process of life. Right now we are in the process of bringing forth a certain dimension of physical practice. Physical on the surface, but with a certain dimension of spiritual process, which we are referring to as Surya Kriya. In the last four to five months all brahmacharis have been doing Surya Kriya, they are still in the process of correcting their practice. When the practice is done, geometrically, in a hundred percent correct manner then we will initiate the Surya Kriya in a certain way and it will become a very powerful process towards physiological and psychological health as well as a tremendous spiritual possibility. It will take a certain amount of time and application and constant correction to come to that state of perfection. Only then, initiating into it will be worthwhile because it is a powerful process. It needs to be done with a certain level of competence. Surya Kriya is different from Surya Namaskar in that the original practice or the real practice is Surya Kriya. It is a way of aligning yourself with the sun and it is a much more refined process which needs enormous attention in terms of the geometry of the body. Surya Namaskar is a country cousin of Surya Kriya. There is also another process called Surya Shakti, which is a far-off relative. If you want to use this system as just a physical exercise to build muscle, to become physically strong, you do Surya Shakti. If you want to build muscle, be physically fit, you want to do aerobic exercise where your heart becomes strong and you also want to have a spiritual element in it, you do Surya Namaskar. If you want a strong spiritual process in the physical process that you are doing, then you do Surya Kriya. When we say Surya we are talking about the sun, the basic powerhouse for this planet. Everything on this planet is solar powered – all life on this planet is solar powered, including yourself. The solar cycles run in twelve and a quarter to twelve and a half years. To be able to ride these cycles is a part of your well-being. You can either ride these cycles or you can be crushed by them. The sun, the planet and the moon have a significant role in making the human body. Surya Kriya is a way of using the sun’s cycle so that you bring your physical body to a twelve and a quarter to twelve and a half years cycle. If you observe your life carefully you will see that at certain periods of time, from the beginning of puberty, for example, there is a certain sense of repetitiveness to the situations that you face. The psychological experiences that you have, the emotional situations that you experience are cyclical. Someone may be going through a twelve year cycle; another may go through a six year cycle or three years, eighteen months, nine months or a six months cycle. If it goes anywhere below a three months cycle then that means, psychologically one is in a state where one definitely needs medical treatment. From absolute health and balance to complete deterioration one can notice depending upon the length of cycle that is happening within oneself. Women are a little more in sync with the moon. As a result, they may not notice the solar cycle as much because they are noticing the lunar cycle much more. On the surface, for a female, the lunar cycle is playing a much more important role than the solar system. But the fundamental nature of the human body is essentially in sync with the solar cycles. So, Surya Kriya enables you to move towards a space within yourself and around yourself where circumstances are not in any way intrusive or obstructing the process of life. 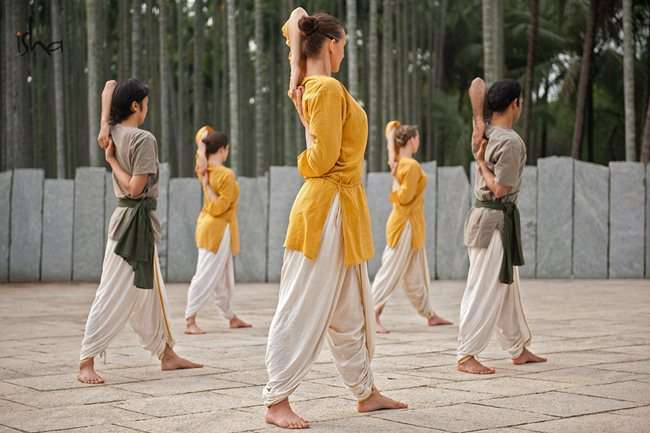 After four months of meticulously correcting their practices, these brahmacharis who have been doing sadhana for eight to ten or fifteen years every day, are now beginning to understand what it takes to get the geometry of the body right. For fifteen years they have been doing Surya Namaskar and they believe they are doing it right. They are generally doing it right, but getting the geometry of the body right is not a simple thing. If you just get that right, it can download the whole cosmos. It takes a lot of work – adjusting and readjusting, to come to a point where it is just perfect. If we come to that point, then we’ll set fire to it, which is called initiation. We can set fire to the process and it will become a phenomenal practice of bringing physiological and psychological well-being on one level and becoming a powerful system to ride the cycles of the sun. 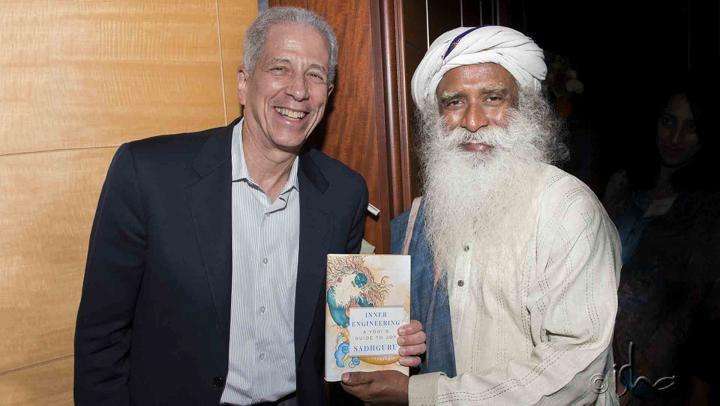 Wonderful...Sadhguru..u just born for us!.. Yes. They will tell you in which order all the practices needs to be done. Hata yoga is before all the non-physical kriyas i.e shambhavi or shoonya. Love you guys but geothermal life exists in complete darkness living off nutrients and heat pumped from the inside of the earth. Skeptics are true seekers? Thank you for the great article. surya namaskar and shakthi chalana kriya did miraculous things for my low back pain/ lumbar disc prolapse. Thank you. Could you please let us know when will be Surya Kriya available for general public? is it not possible to consolidate these benefits into one practice? Do the shakti/namaskar/kriya not stem from the same root? Well, the Earth only exists because the Sun came into being in the first place. And oceans exist only because the warmth of the sun keeps the earth from turning into Pluto. This is really interesting as it opens up the enormous cosmos before us make our own self feel limitless as well as limited. In the sense that we are one with the small molecule as well as the entire cosmos at the same time. The very thought of it is mind boggling. can i do the yoga and exercise at the same time? is it correct or incorrect that people who have lower back pain, should not do front bending exercises. my doctor has asked me to stop surya namaskaar as my spinal pain had increased. what do you suggest sadguru? Jaii GUruDEVv ! Jai GuruDevV!! Wonderful! I have yet to learn more about Surya Kriya. Sounds great...Sadhguru...I want to get initiated into this phenomenal practice.... when is it being opened for us - the gruhasthas? Sadhguru, for those who are doing Shoonya every day and Hata as part of the sadhana , can we incorporate Surya Kriya in our daily sadhana ? Thank you.